The birthplace of Home Alone 2, Scrooged, When Harry Met Sally, Miracle on 34th Street, the list goes on and on! That’s right… we’re heading to the City That Never Sleeps during the most MAGICAL time of year! Why is it that New York City just sounds like it would be so much more wonderful during the holiday season? Christmas in New York, I mean come on! 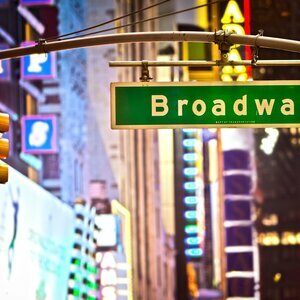 On this tour, you’ll see Radio City Rockette’s Christmas Spectacular, we’ll go on a Christmas Lights Tour, and we’ll even check out a Broadway Show! 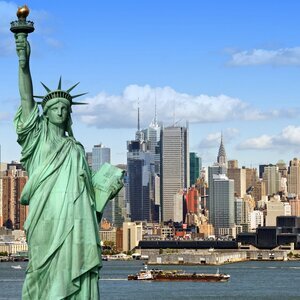 You’re not going to want to miss this 6-day tour to the Big Apple this December! On arrival you will be transferred to your Manhattan hotel for the next five nights – The Novotel New York Times Square. This hotel has an amazing location. After a free morning, A local guide will show off the city. Our tour includes: Greenwich Village, Wall Street, Little Italy, Chinatown, Empire State building and 9/11 Memorial. After an included dinner this evening we will take you on a tour of the Christmas Lights. Today your view of the Big Apple will be from the water. 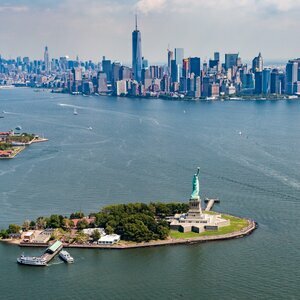 Stops at Ellis Island and the Statue of Liberty are the highlights of this cruise. 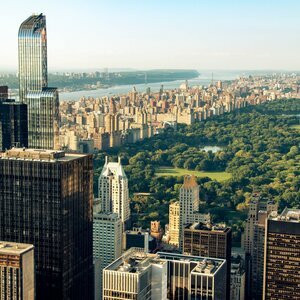 Many people come to New York hoping to make it to the top, and the fastest way there is the elevator – to the 67th, 69th or 70th floors at 30 Rockefeller Plaza. The three 360 degree view observation decks at Top of the Rock showcase the City’s spectacular skyline. 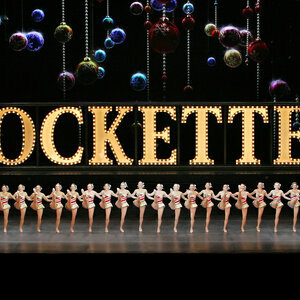 This evening one of New York City’s oldest Christmas traditions; The Radio City Rockettes Christmas Spectacular. The Christmas Spectacular is an annual musical holiday stage show presented at Radio City Music Hall in New York City. The 90-minute show features more than 140 performers and an original musical score, and combines singing, dancing, and humor with traditional scenes. This is your free day to explore the Big Apple on your own. Finish up your Christmas shopping at some of the best Holiday Markets. Maybe go skating at the Rink at Rockefeller Center. This evening view the fancy Christmas window displays at some of the well-known department stores. 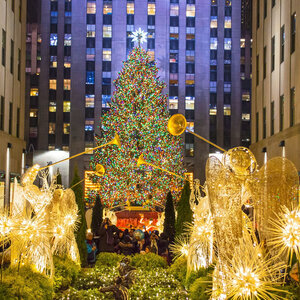 Don’t forget about visiting the spectacular Christmas Tree at Rockefeller Center. 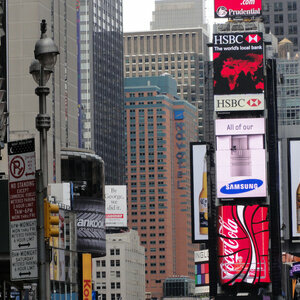 Enjoy a free morning to explore some of the fabulous sights and sounds of New York. 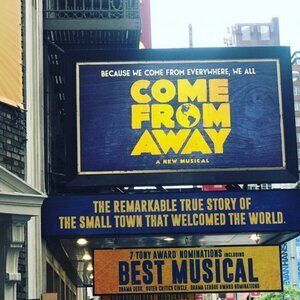 Come From Away - Come From Away is based on the true story of when the isolated community of Gander, Newfoundland played host to the world. What started as an average day in a small town turned in to an international sleep-over when 38 planes, carrying thousands of people from across the globe, were diverted to Gander’s air strip on September 11, 2001. Undaunted by culture clashes and language barriers, the people of Gander cheered the stranded travellers with music, an open bar and the recognition that we’re all part of a global family. This evening join your fellow travellers for a WestWorld Tours Farewell Dinner. Board the coach for the transfer to the airport and your flight home. Following the September 11 attached 38 planes we ordered to land unexpectedly in the town of Gander. This musical tells the true story of how human kindness and small-town hospitality prevailed. These two historic landmarks hold many stories of New York City’s history. You will get to explore what it was like for the immigrants that arrived at Ellis Island for this first time in 1892. As well as get within touching distance of one of the world’s most iconic landmarks, the Statue of Liberty. 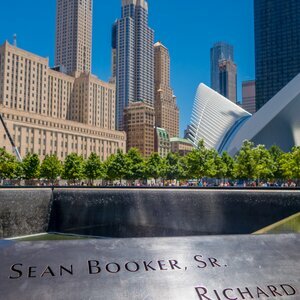 Also known as the National September 11 Memorial & Museum, this memorial commemorates the September 11th, 2001 and 1993 World Trade Center bombing. Competing with the 86th floor observatory of the Empire State Building, “Top of the Rock” offer a spectacular birds eye view of New York City. *All prices are per person and include airfare from Regina, Saskatoon, Winnipeg, Calgary, Edmonton & Vancouver. Airport transfers are provided on tour start and end dates only.